The Connecticut Bike Walk Summit & Technical Training brings together people from across Connecticut to get the latest biking and walking updates from around the state, to learn how to make our communities more bike and walk friendly, to network and to develop connections statewide. Framed around the theme of tactical urbanism, this year's Summit explored how low-cost, temporary changes to the built environment can improve neighborhoods and create better conditions for walkers and cyclists. Our technical training and advocacy summit featured national leaders, local advocates, policymakers, movers and shakers, and more. On June 9 & 10, 2017, participants learned from experts and connect with others working on these issues, and went away energized and with the tools necessary to create lasting change. We discussed the latest news and ideas on complete streets, plans for CT's bikeways and greenways, legislative and funding developments, and more. Note: Lunch included in cost. 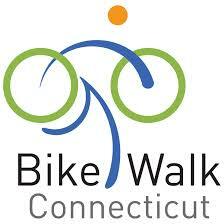 No-cost options available as needed; please contact to bikewalkct@bikewalkct.org with any questions.